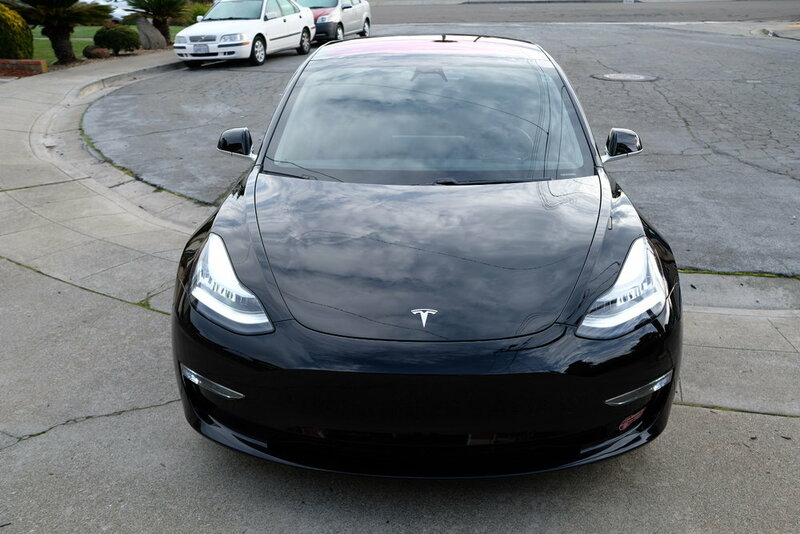 This Model 3 was booked very last minute ; literally the afternoon before we started working on it since we had an opening in our schedule. 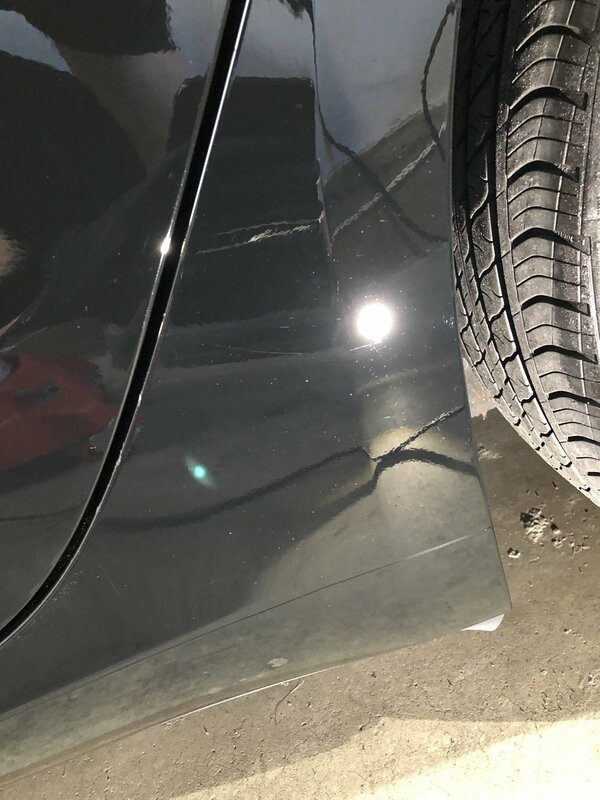 We had planned for a new car prep; which really just involves the standard prep that you see in most of our postings here, which does include a single step polish (marginal correction, more of an enhancement/prep step). 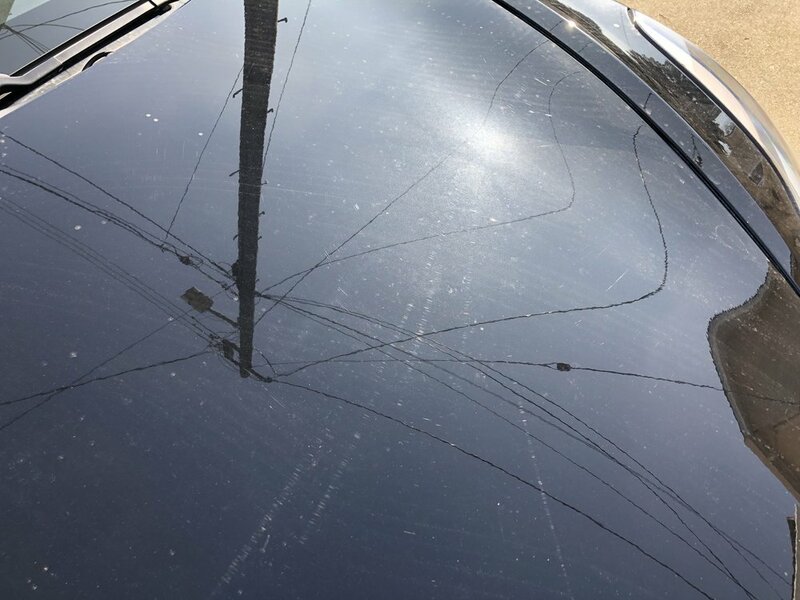 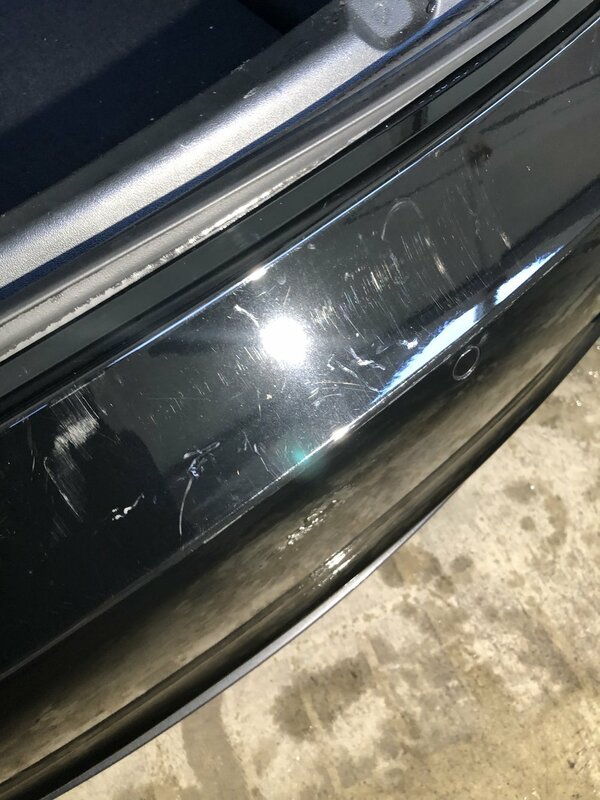 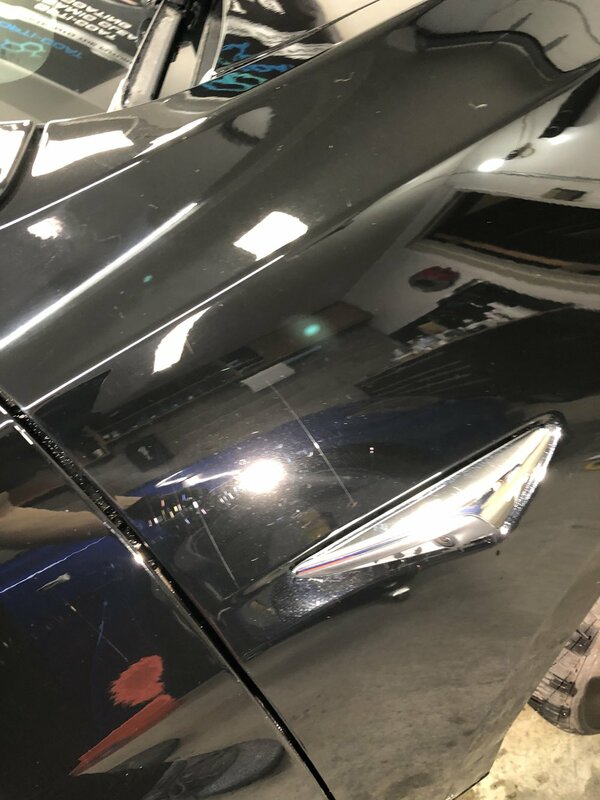 The owner mentioned that there were some scratches to work on, which usually - if just a few spots we’ll just do it. 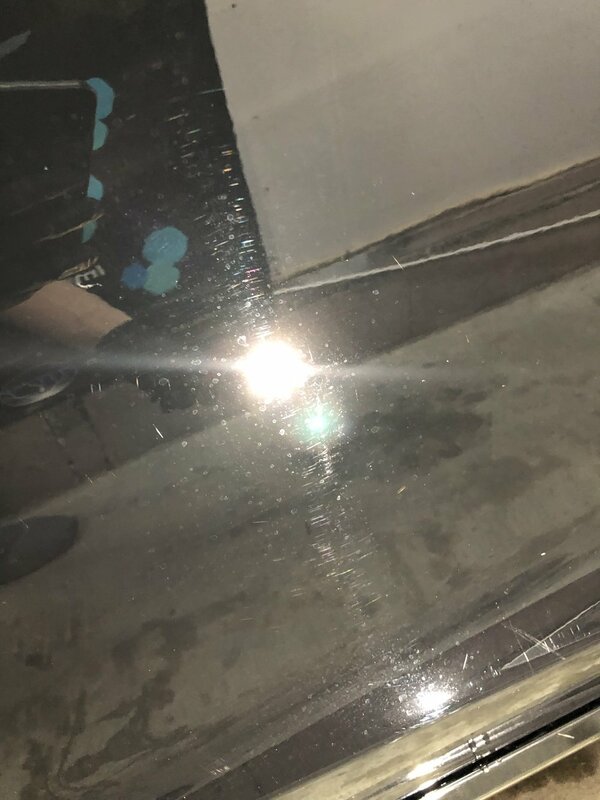 Little did we understand that those scratches were all over, including a cluster of scratches due to a mishap with a garage door. 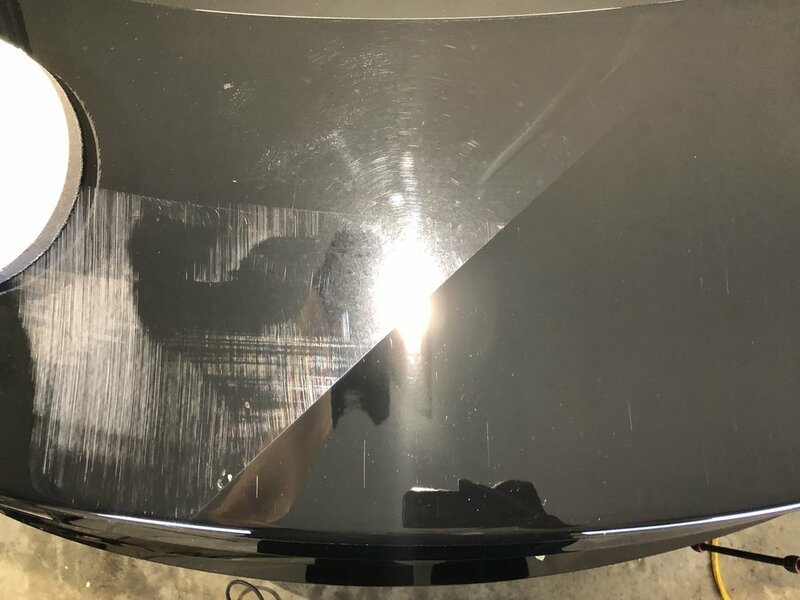 We ended up spending almost a whole extra day employing methods to minimize and/or effectively remove the scratches where we were safely able to do so. 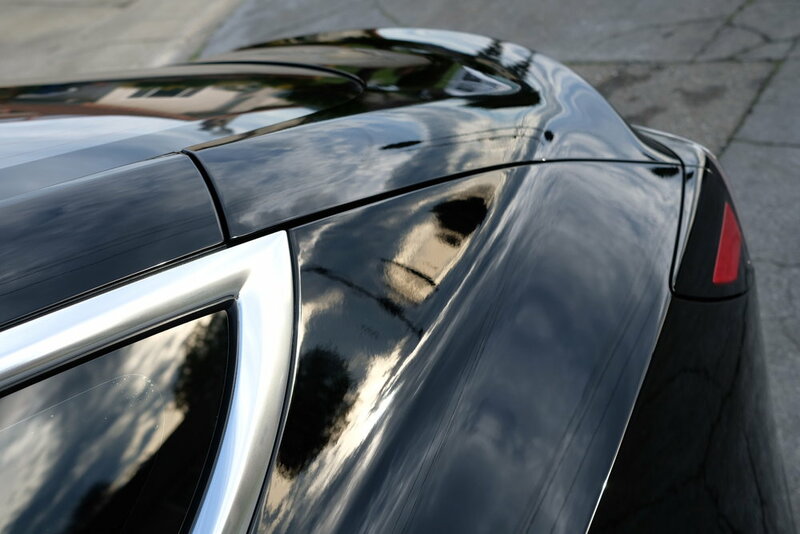 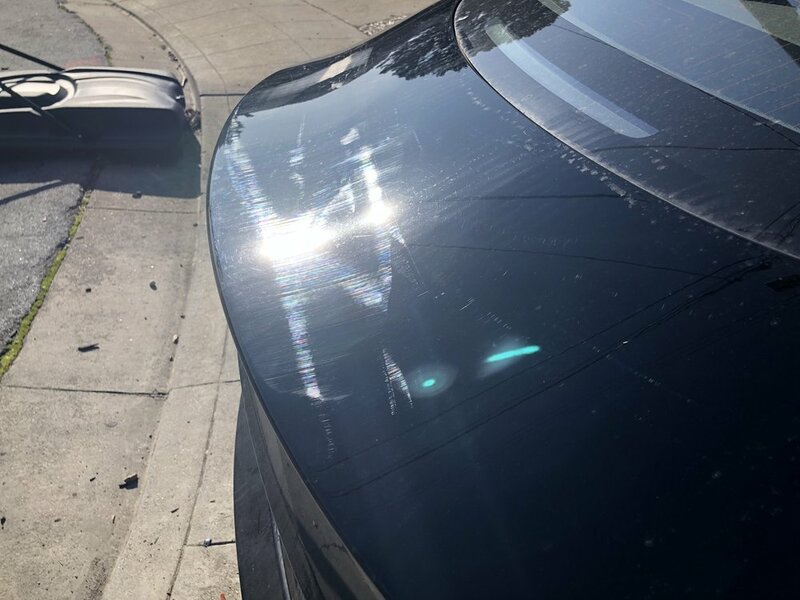 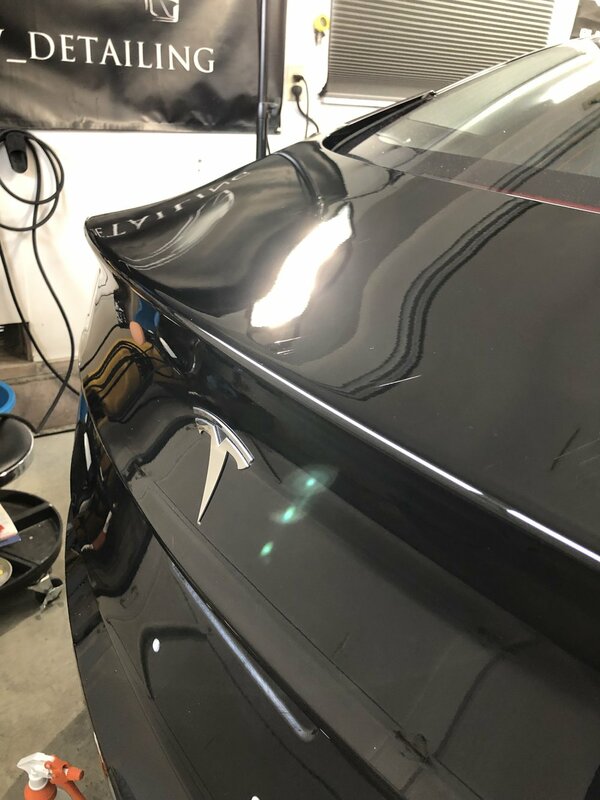 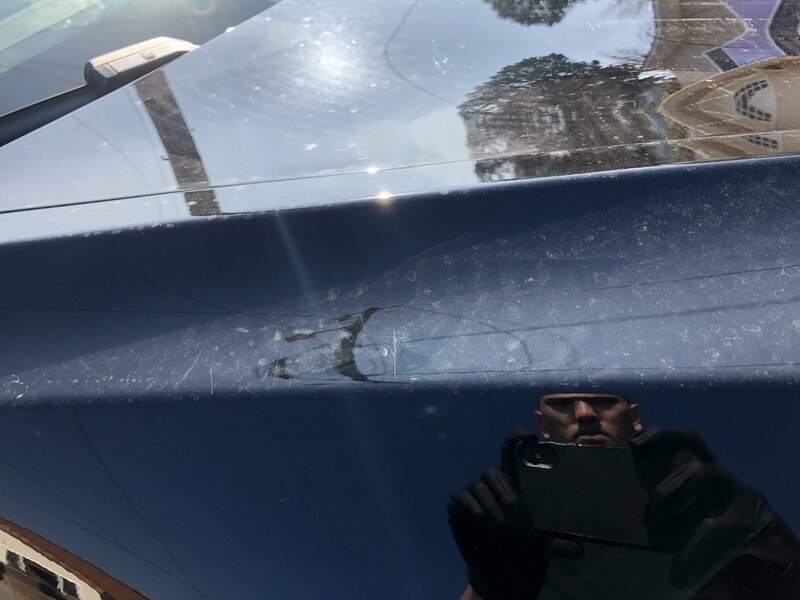 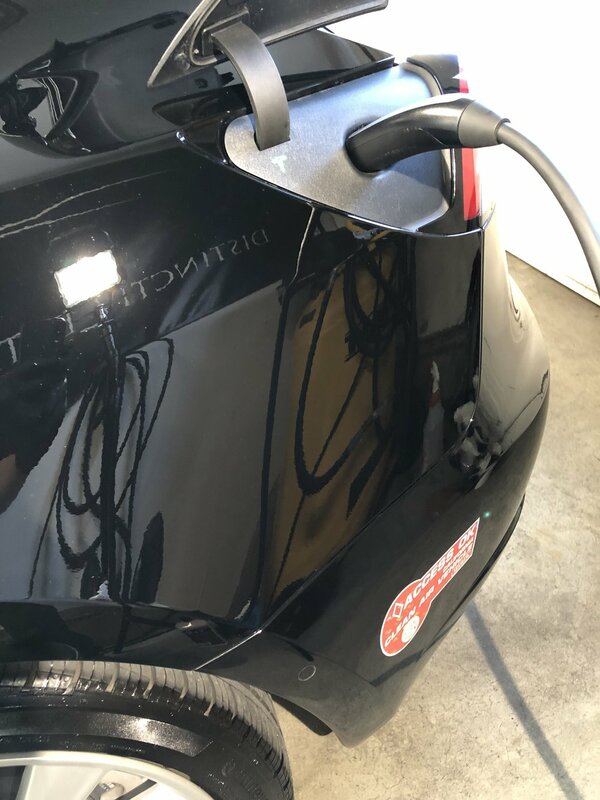 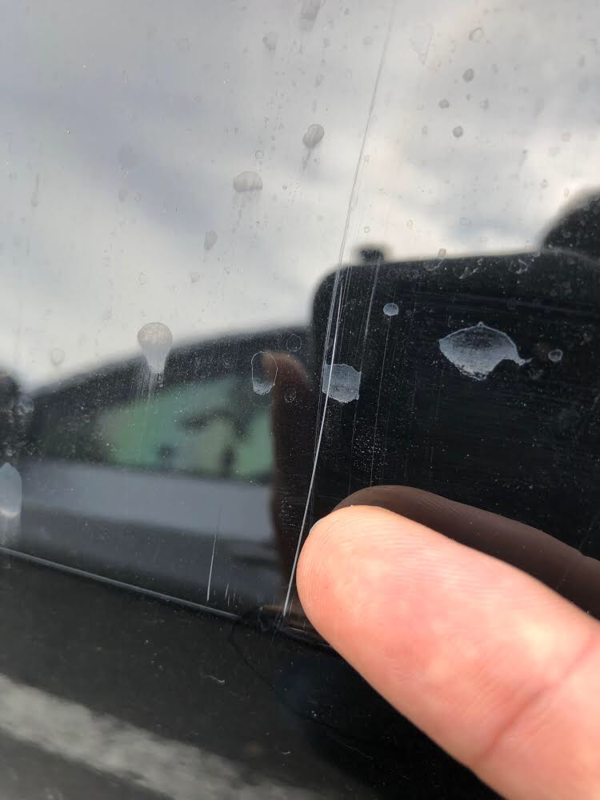 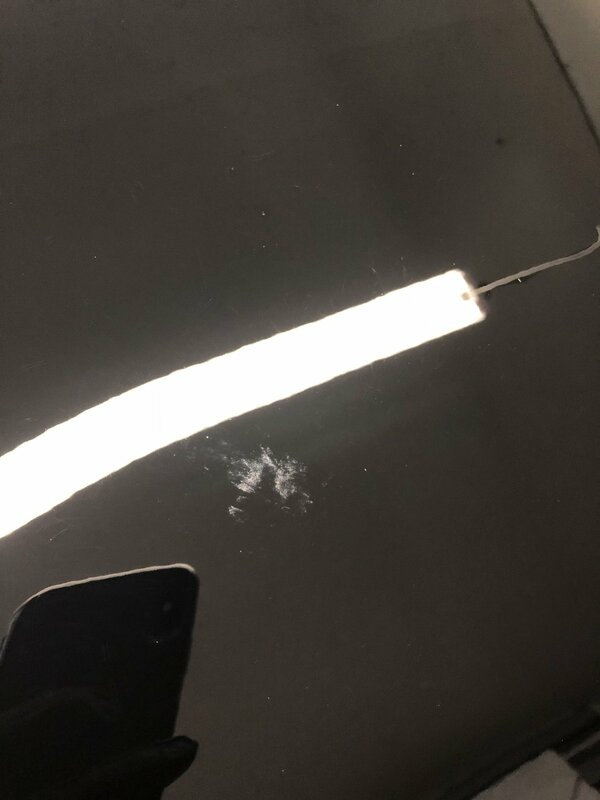 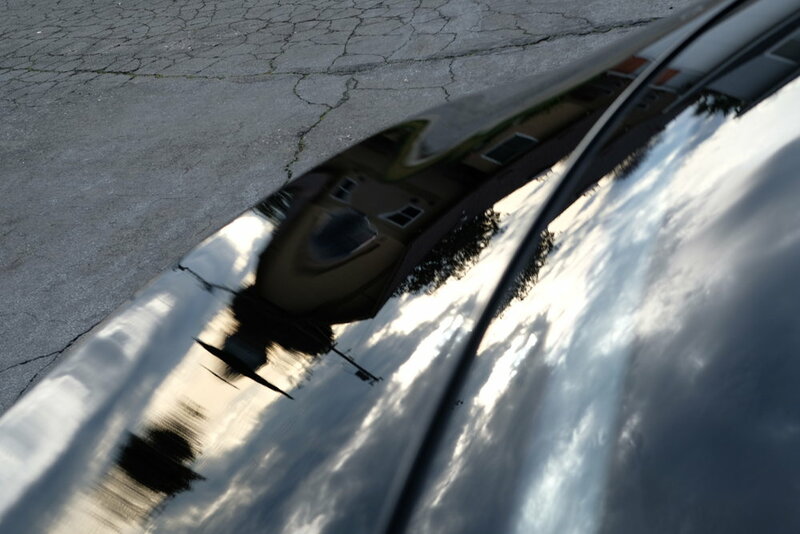 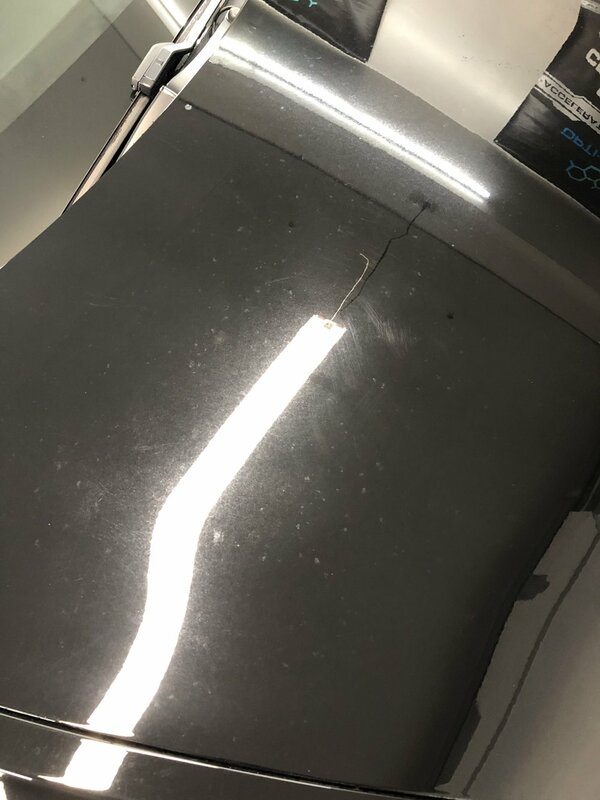 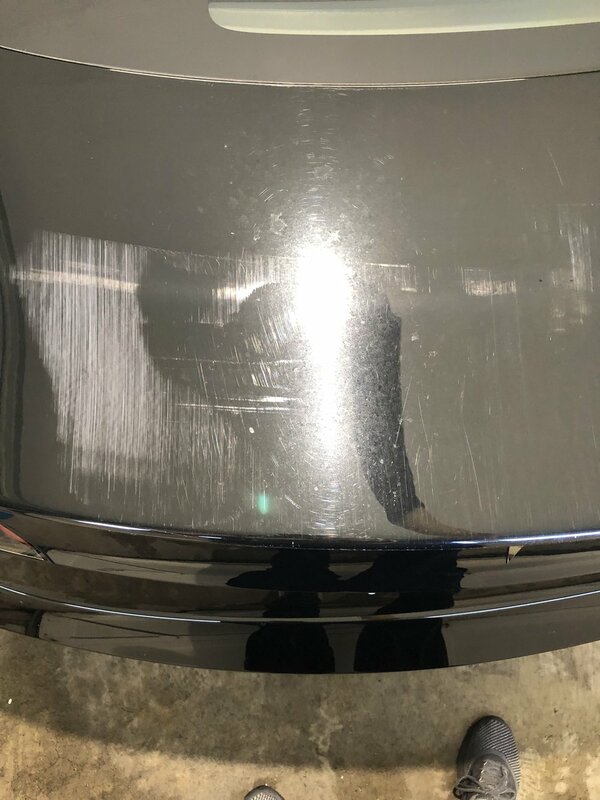 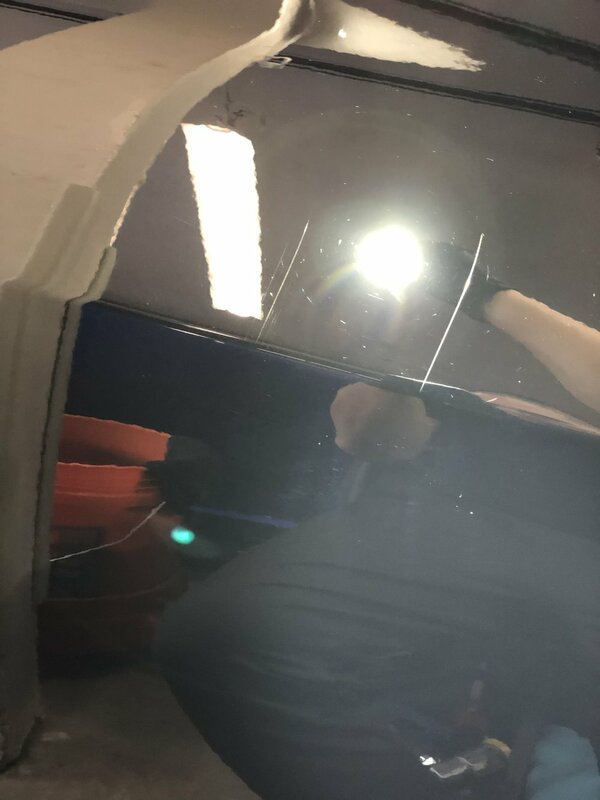 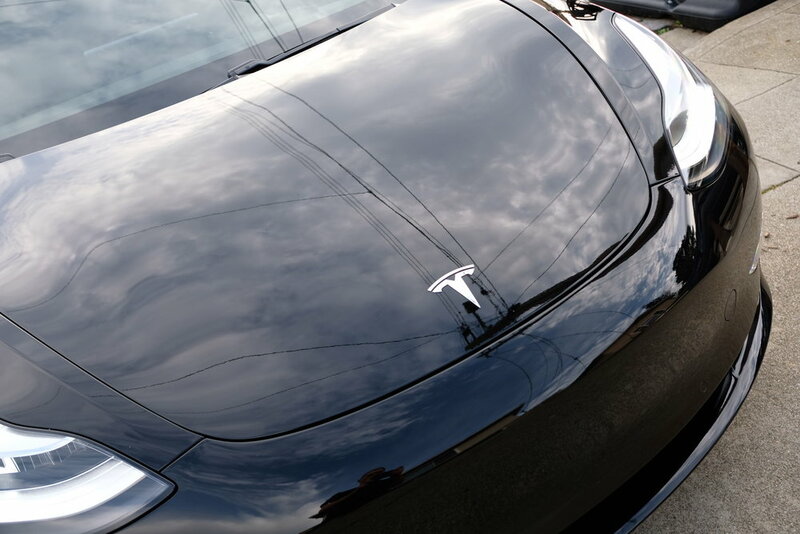 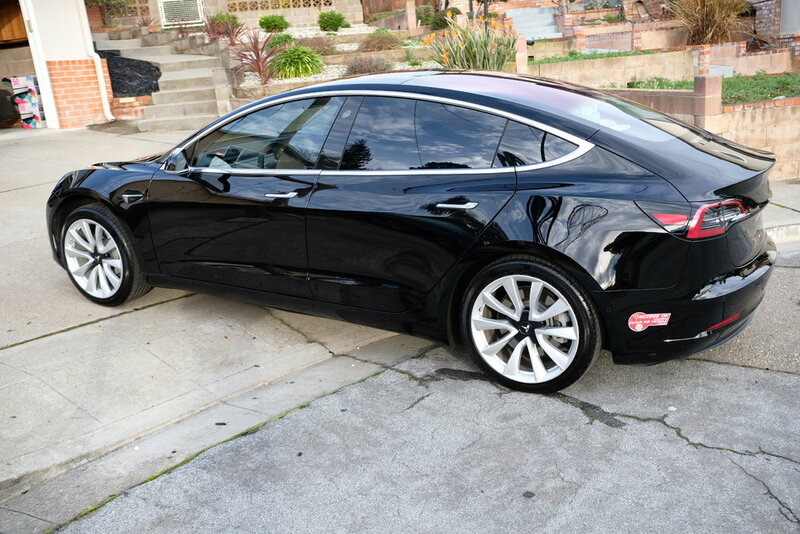 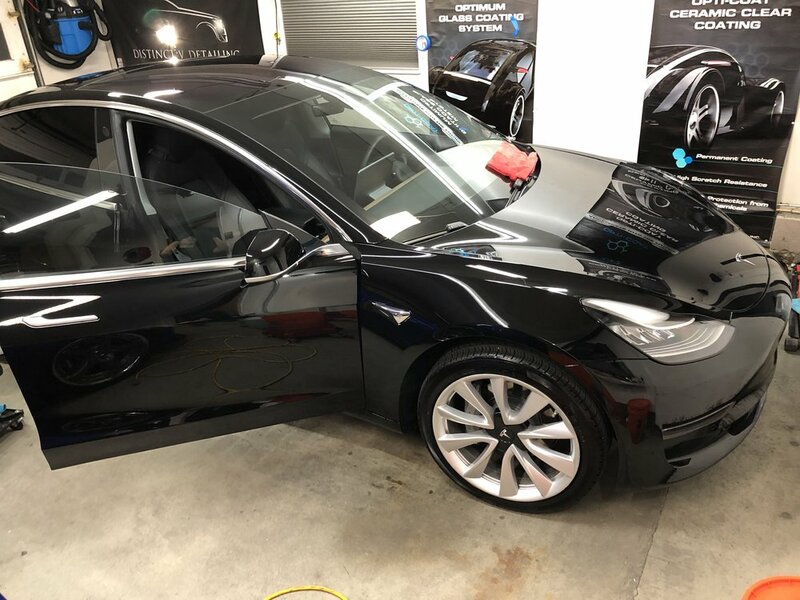 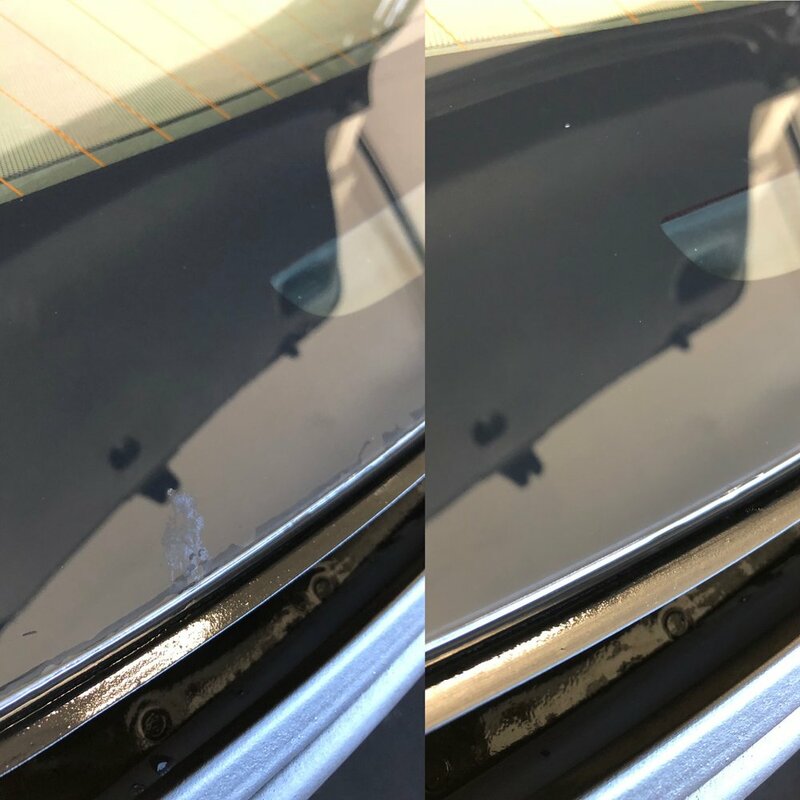 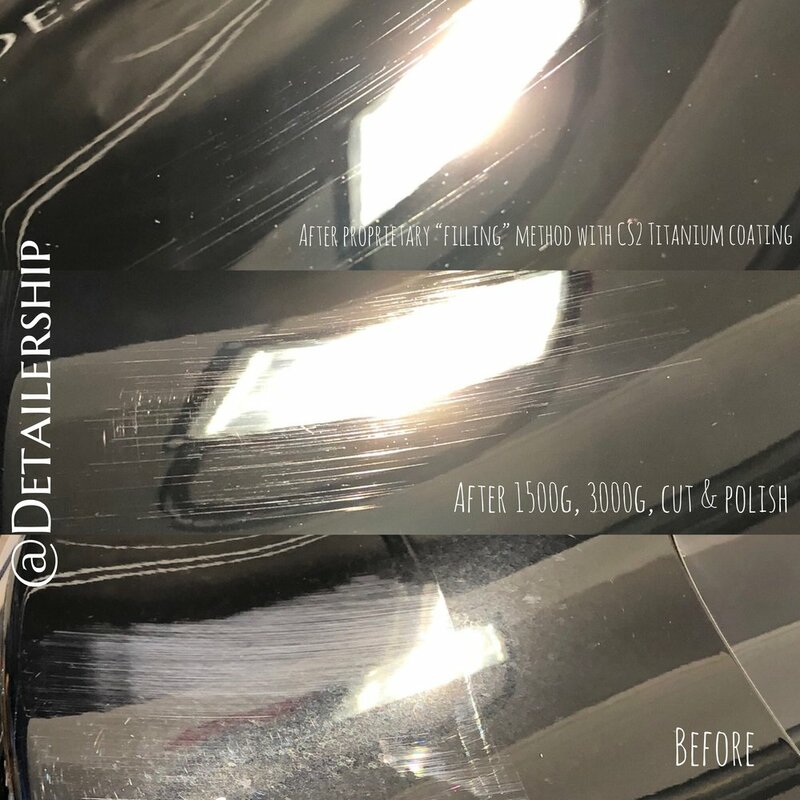 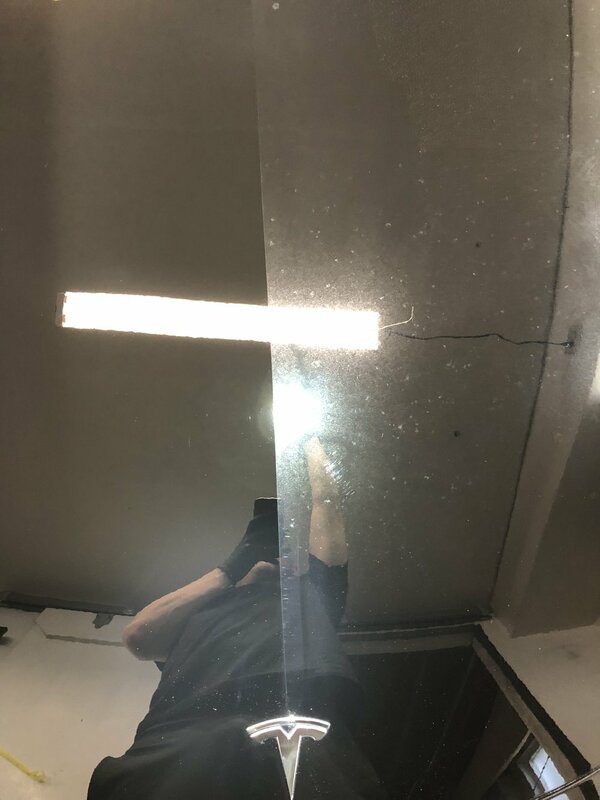 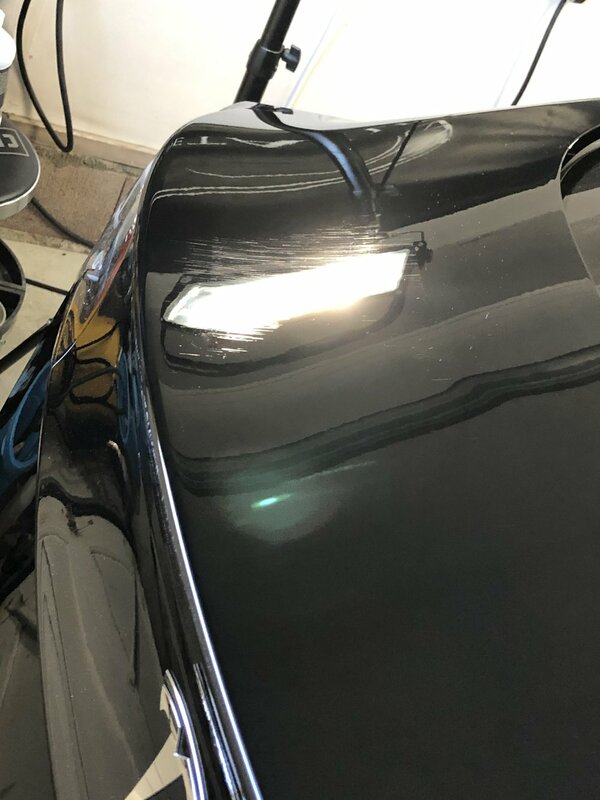 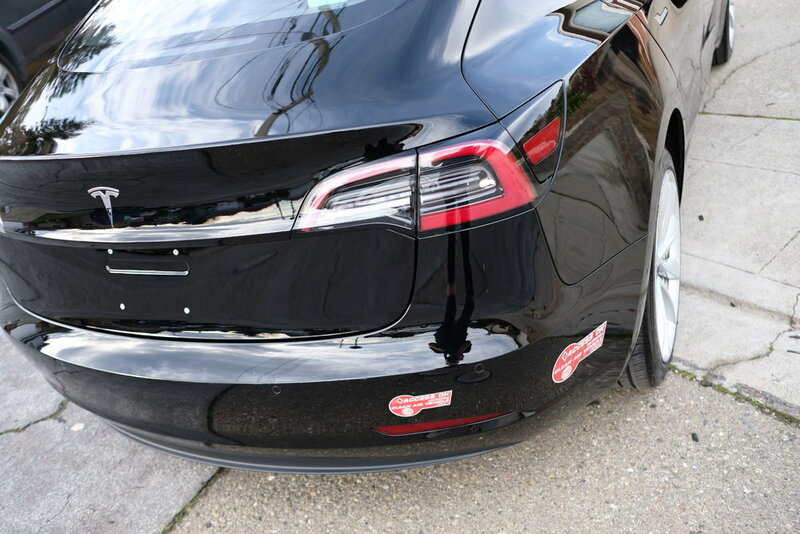 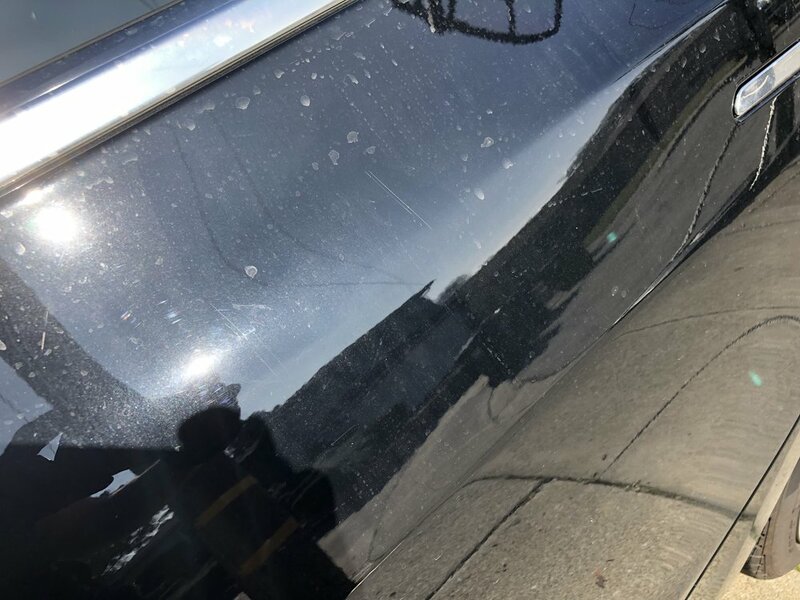 On the trunk, after sanding and polishing the already thin (+/- 30um) Tesla clear coat, we used a proprietary “filling” method with one of the thickest coatings on the market — CS2 Titanium — to achieve the highest amount of levelness in the paint to make as much of the gouges almost disappear. 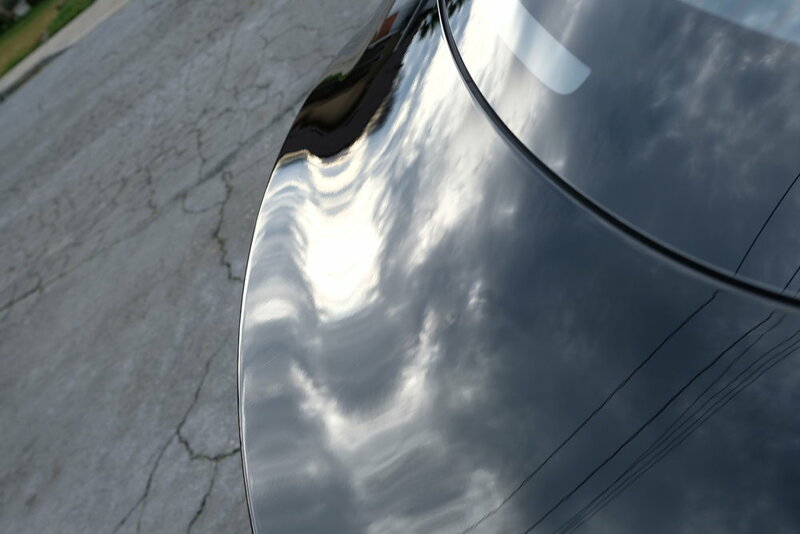 The goal wasn’t to get it perfect, that simply wouldn’t have been possible without a repaint. 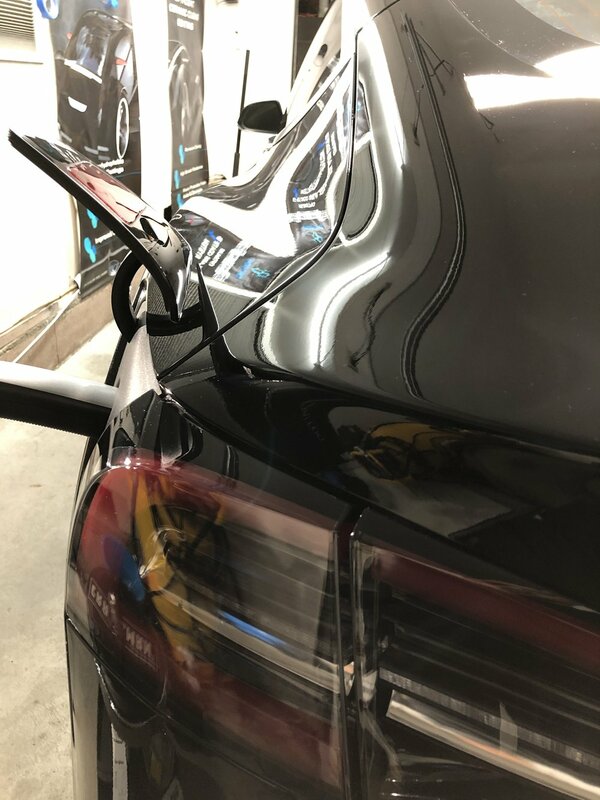 Instead, the goal was to make the trunk area presentable from about 5ft away without incurring additional costs for a repaint. 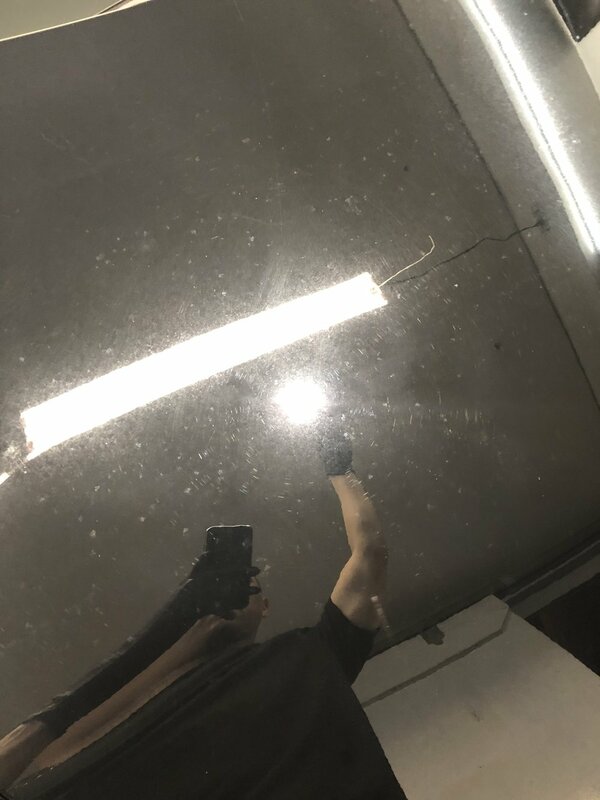 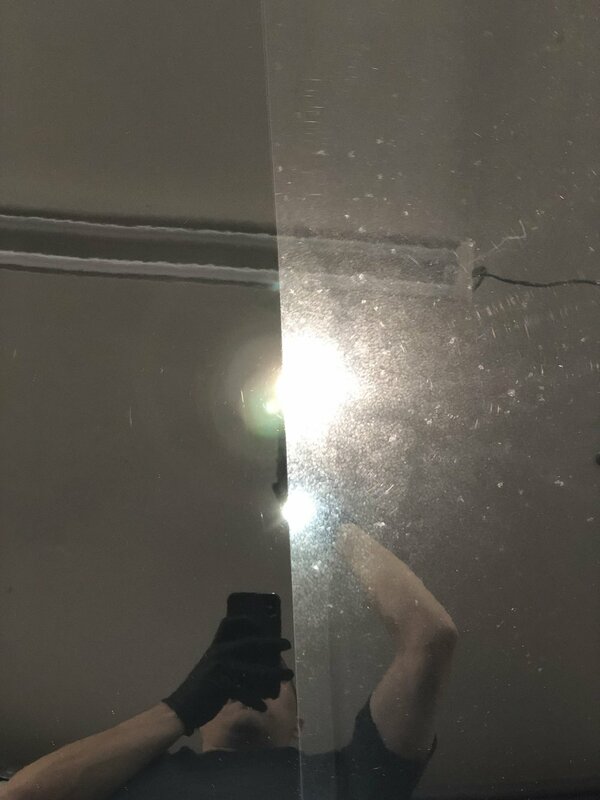 I think we did that well. 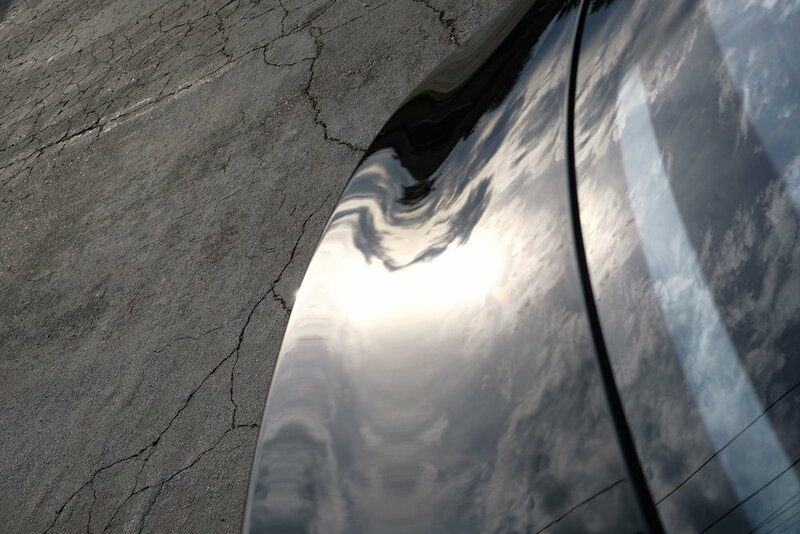 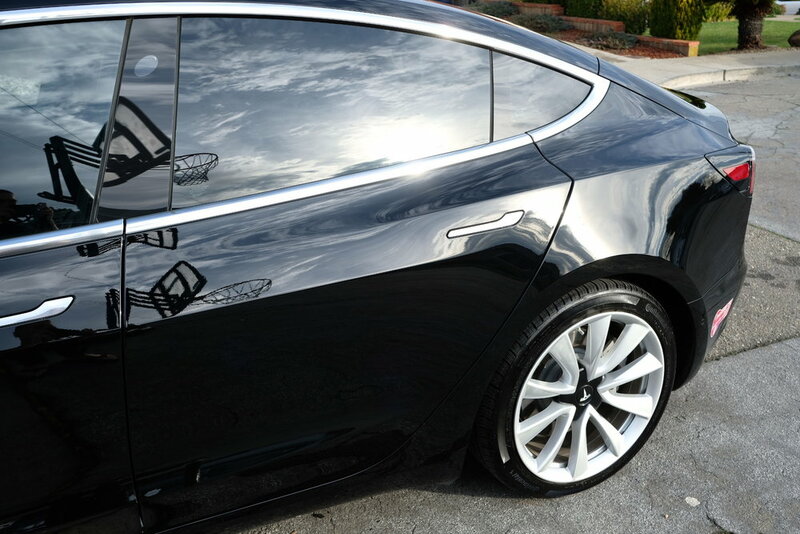 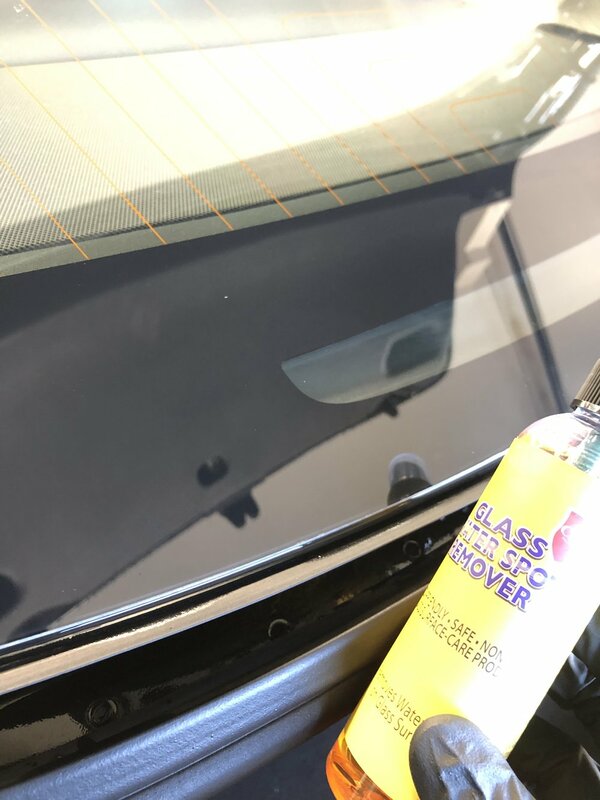 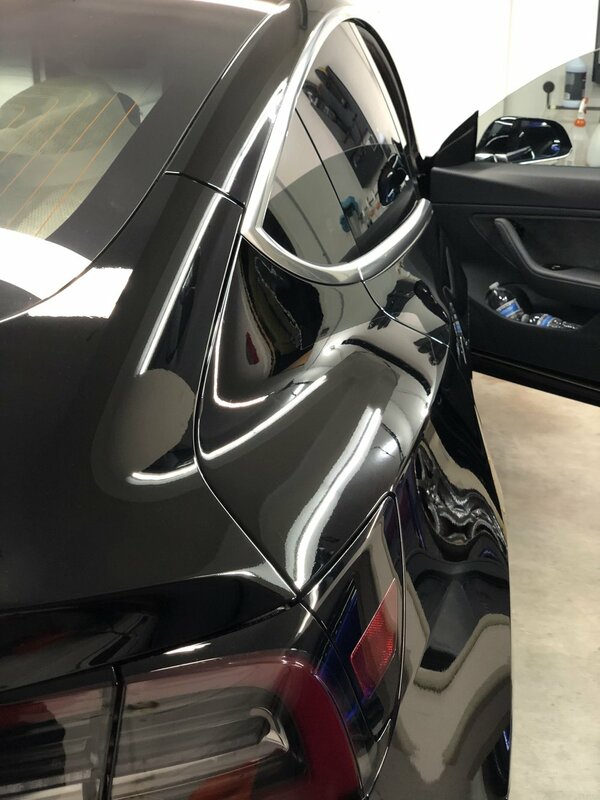 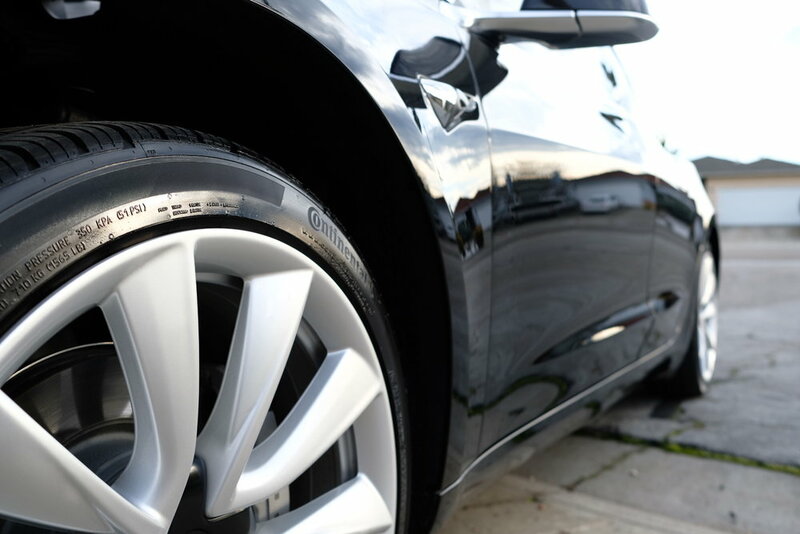 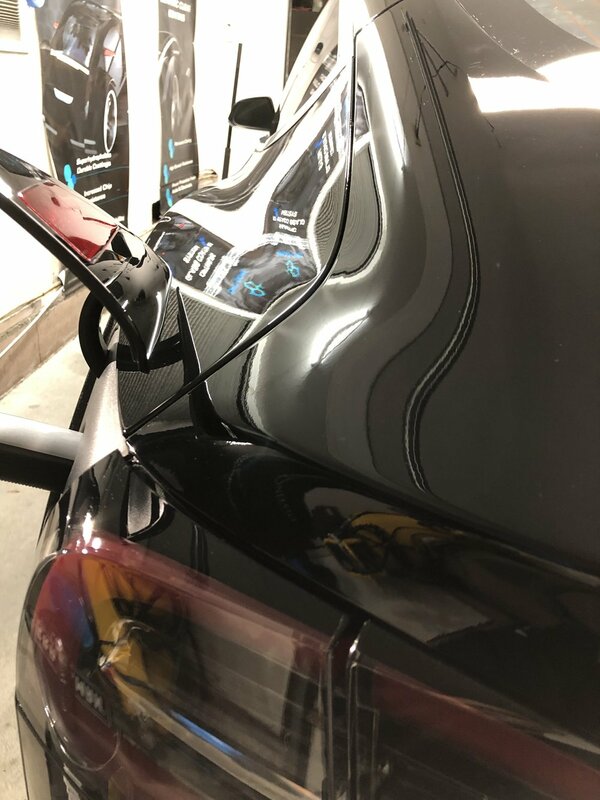 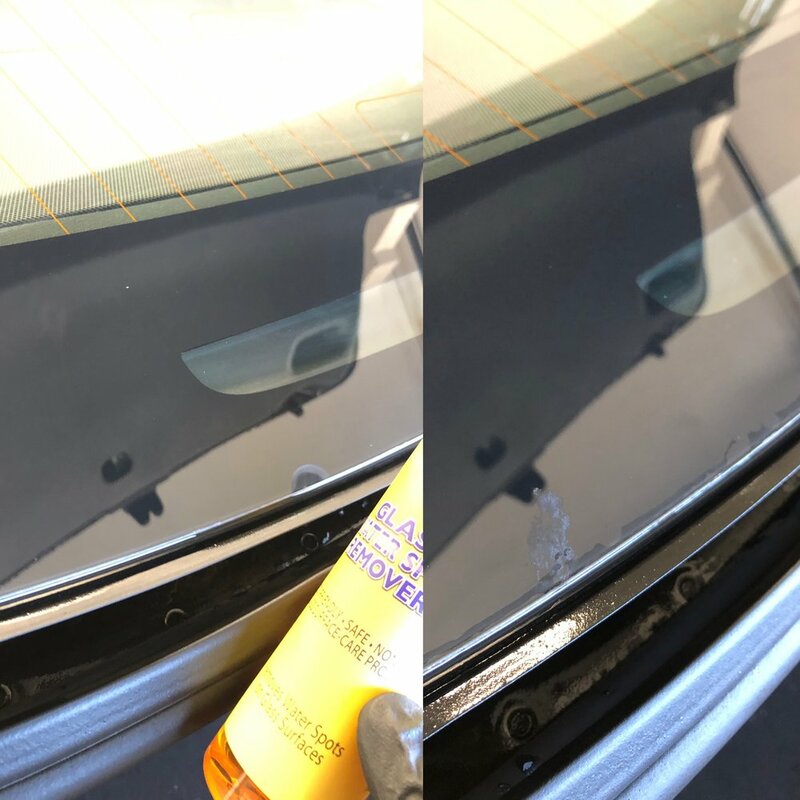 The rest of the car got a two step polish, topped with Opticoat Pro+ Plus, and Optiglass Pro on all of the windows for many years of protection. 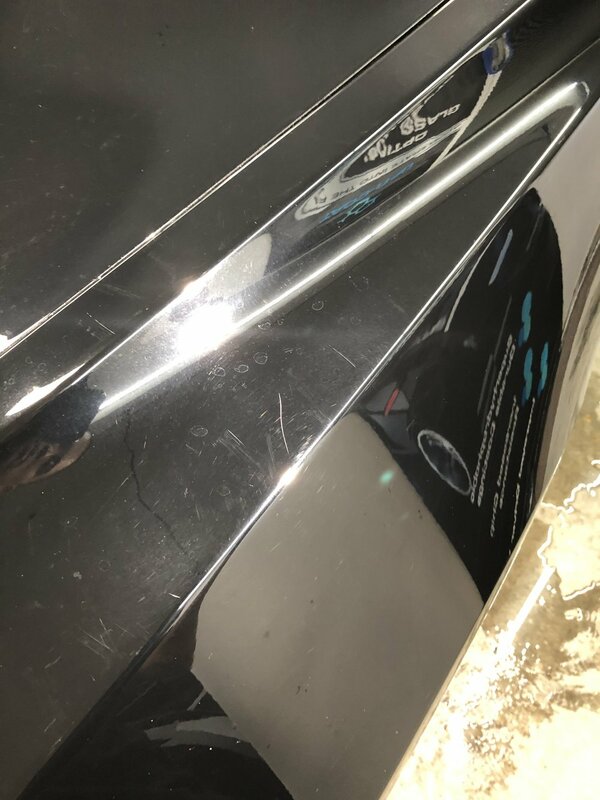 Usually, we do not mix coating brands, however in this case we chose to go with Titanium on the trunk as we felt it would be best for the vehicle in the long term.